The city of Rochester is thinking of passing a law that puts all animal abusers on a list so they can not purchase or adopt any animals.The positive side of this law is that the abuser can not purchase any animals in Monroe County. But the law only goes so far: the abuser can go out of the county and continue to purchase or adopt animals. I feel that this will be a very good and smart law. New York State Animal Cruelty Law defines abuse as torture, torment, cruel beating, cruel killing and depriving animals of food drink and shelter. Animals have to have their basic needs which are shelter, food,water, veterinary care, space, sanitation, light, confinement, collars, and grooming. The interesting thing is abuse does not have to be physical; the animal can be verbally abuse as well, Like shouting at them and intimidating them verbally. The best thing about animals is, regardless of them getting beaten and tormented they still love you. 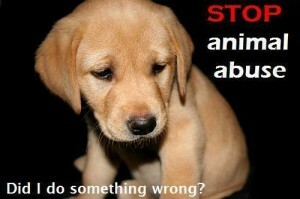 Animal abuse is wrong in so many ways it is cruel and uncalled for. No animal should go through life fearing someone, just like no human should go through life fearing someone. Animals have feelings they can feel pain, they can be sad, angry and etc. But the point is that animals have feelings as well. So this animal abuser law is a great step in stopping animal abuse in Rochester, but now we have to try to stop it around the world! One thing i learned is that animal abuse can be stop in many ways. 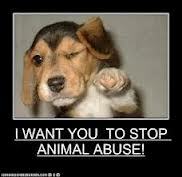 If vets are suspicious about an animal being abused they can report the owner to the ASPCA . When I went to Interview Dr.Miner at Brighton Animal Hospital he told us, “If we’re suspicious of something we’ll call the SPCA and they’ll look into it, you know, a couple times a year we definitely get some that we’re suspicious of. Animal cases are hard to prove a lot of times and there’s not as much resources behind it in veterinary side of things as there is in human side of things. So I think it would be pretty easy cause if someone comes in with an animal that I’m suspicious that the animal has been abused I could just, you know, most of the time I will say to them I’m really concerned about your animal and I’m going to report you to the SPCA”. 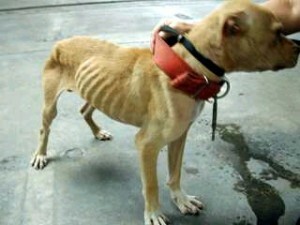 Later on when i do become a vet i will have to do the same in some cases if i do suspect animal abuse. 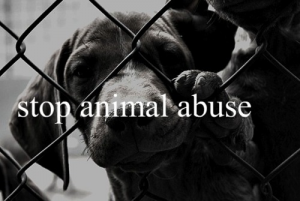 But i am not a vet yet but there are things I can do like donate time at an animal shelter helping those animals, writing to my county to support the potentual registy of animal abusers and report anything suspicious i see. I would have liked to add more pictures of serious cases of Animal Abuse but, they are to disturbing and graphic even for me. This entry was posted on Thursday, August 8th, 2013 at 7:06 pm and is filed under Analyzing and Interpreting Data, Asking Questions and Defining Problems, Cause and Effect Mechanism and Explanation, Engaging in Argument from Evidence, Life Sciences, Uncategorized. You can follow any responses to this entry through the RSS 2.0 feed. Both comments and pings are currently closed. Morgan's Blog by Themebuilder | Entries (RSS) and Comments (RSS).